Hey all, it’s your good pal Jack. 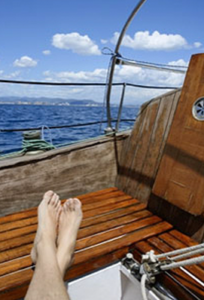 I realize it has been some time since there has been any activity on the blog and website. The reason for that is three-fold. First, I was trying to get The Darker Lord out, and then second had to turn immediately to writing up the final chapter in the adventures of Avery Stewart. The good news is that we are in the homestretch on edits for the next book in the trilogy, The Darkest Lord, which will be coming out in January. 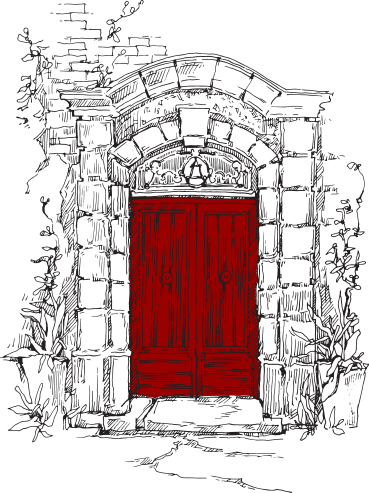 Anyone visiting the site and sending me a personal message will receive a free e-copy of one of my novels (your choice). If you also comment on a blog entry I will instead send you a physical copy of one of my books (again your choice). 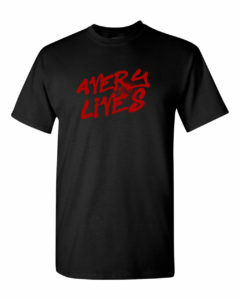 If in addition, you leave a review for one of Jack’s books on GoodReads or Amazon, Jack will send you an “Avery Lives” shirt from his newest line of clothing. 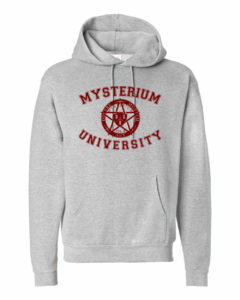 If you do all the above you can get a super cool Mysterium University sweatshirt! Different sizes are available, but in limited quantities and, as you might expect, we live in a first come first serve world! Check back frequently as we begin tomorrow counting down the 12 days to The Darkest Lord! In a new twist, we will also begin posting excerpts of novels we are working on. I hope you enjoy this newest iteration of the site. I am so stoked for The Darker Lord! I can’t wait for it to come out. Long live Avery and Jack Heckel!! Thanks Martha! We hope you like this final chapter in Avery’s trilogy. I must just voice my concern about the Waste of the North. Personally, I hate to see a North wasted. There are many good things about the North which are frequently overlooked by those of a southern disposition. I have also been wasted many times in the North and always found it a very pleasant experience and, I might add, considerably cheaper than achieving same in the South. Apart from that, keep up the heroic work – in all senses. This website looks to be a great adventure on it’s own. I still love The Dark lord and reading it the second time before I start The Darker Lord. You really had me completely captivated and immersed into the World of Avery and his roommate Eldrin “Who I really love” Elves are always my favorites. Thank you and looking forward to starting the 2nd in a few days then The Darkest Lord when it comes out. Keep it up your a great writer. Ok now it is off to Trelari to company the Dark Lord as he thwarts the Dark Queen. Safe and magical days to you. Thanks so much for the support Rob. Although, I feel Avery didn’t quite get the message out on how insufferable elves can really be, but then to each his own. These books are the best books I’ve ever read!!!!!!!!!!!!!!!! Jack Heckel is my favorite author too!!!!!!!!!!!!!!!!!!!!!!!!!!!!!!!!! Evan, you are the best! Hands down! check your inbox for some news from us. Also, check back in a few weeks on the future stories. We are going to be posting some updates there that relate to your favorite cast of characters…cough…Charming…cough. I am almost done with the Darker Lord and I already can’t wait for the Darkest Lord. I am counting down days to your new book! So am I Lucas! So am I! Check your inbox as we have some exciting news!